While doing the same thing over and over again can sometimes lead to boredom, I guarantee walking 39.3 miles in the fight against breast cancer is not one of them. As I sit here on this Sunday night covered in sports cream and fighting to stay awake after completing my third Avon39 Walk to End Breast Cancer, I hope you’ll forgive this somewhat simplistic but heartfelt Motivation Monday post. I offer two lists that sum up my emotions another unforgettable weekend here in New York City. My mom is now an eight-year survivor. My generous supporters who got me to the starting line. Joining my friend Sue for our third Avon39 Walk together. Adding Molly, another St. Mary’s Gael, to this year’s experience. The birth of two new friendships with Liz, a survivor; and Lori, Liz’s friend who flew in from Dallas. Seeing countless survivor t-shirts and pins along the walk. Meeting so many people with unstoppable strength and determination, including Mike, whose 39.3-mile journey in Manhattan marked his 100th Avon39 walk to date. The Avon39 crew members who kept us safe and cheered for us along 26.2 miles on Saturday and 13.1 on Sunday. The strangers who took some time out of their weekend to stand on a street corner and offer a high-five of support. Gaels Forever! Liz comes out to cheer us on. To see even more survivors, including another high school gal pal Elizabeth, on next year’s walk. 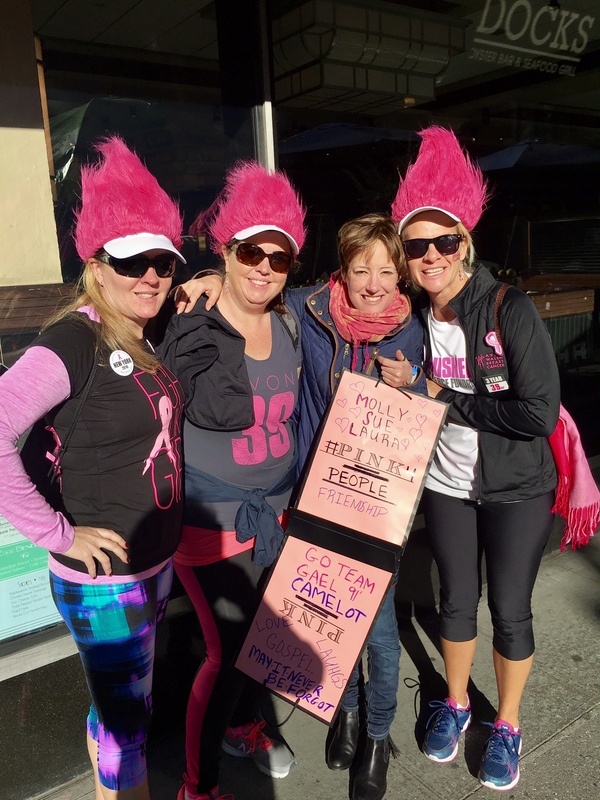 To see more New Yorkers out on the streets on future walk weekends showing the pink warriors some love. That one day in my Goddaughters’ lifetimes, we won’t have to ever walk again. 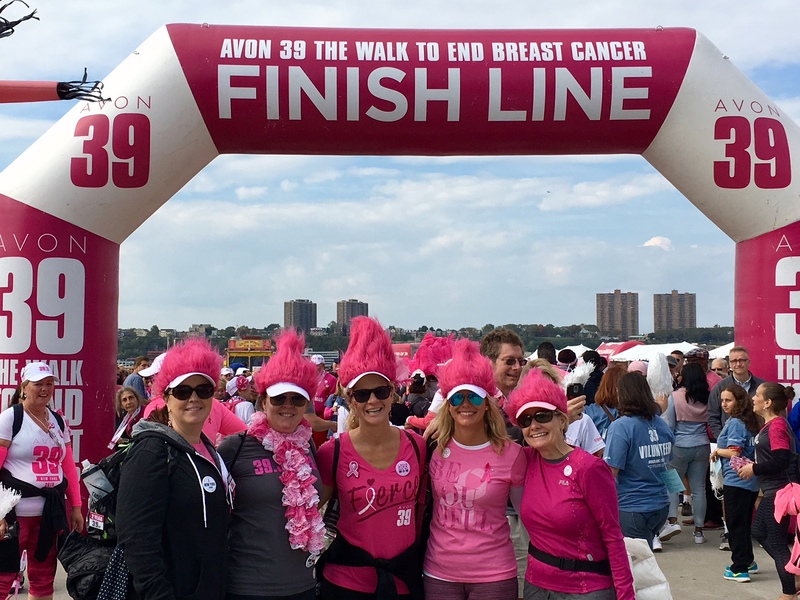 I wrap things up with a huge thank you to everyone who generously supported my third Avon39 Walk to End Breast Cancer. Because of you I threw a 5,175-dollar punch in the fight against breast cancer, making this my biggest fundraising year yet. Please know that money will be used to support organizations that help men and women, regardless of their ability to pay, receive the medical care they need. I also want to thank everyone for your encouraging emails and texts and all those who liked or shared my social media posts documenting my preparation for the journey right through the weekends’ highs. I simply couldn’t have done any of this without an amazing team behind me. If you’d like to see even more fun photos from the weekend, you’ll find them on my LauraLovesFitness Facebook page. The Trolls with 100-Walk Mike! 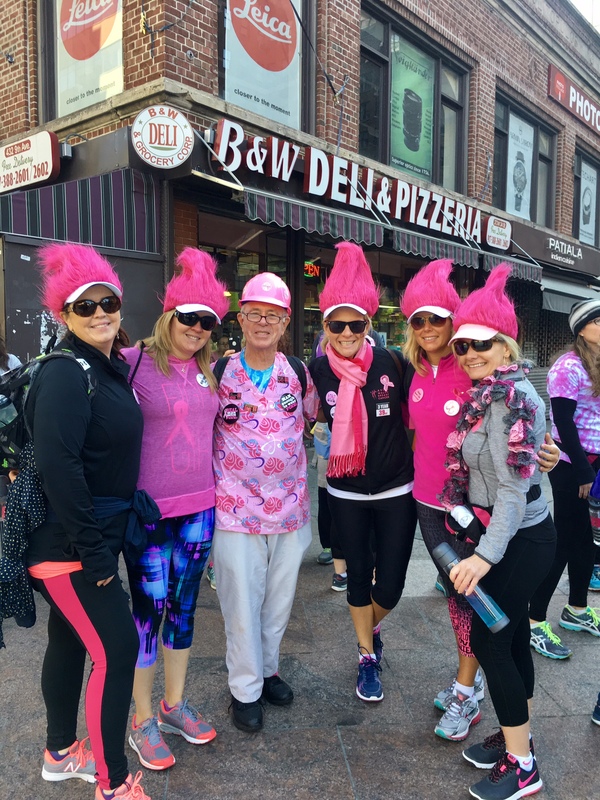 If you’ve been thinking about being a part of Avon39 or other activities to wage war against a disease that remains the number one cancer killer of women, now’s the time to get out there and do it! Putting your best foot forward – literally – is probably one of the most empowering ways to have fun, be fit and feel fabulous! 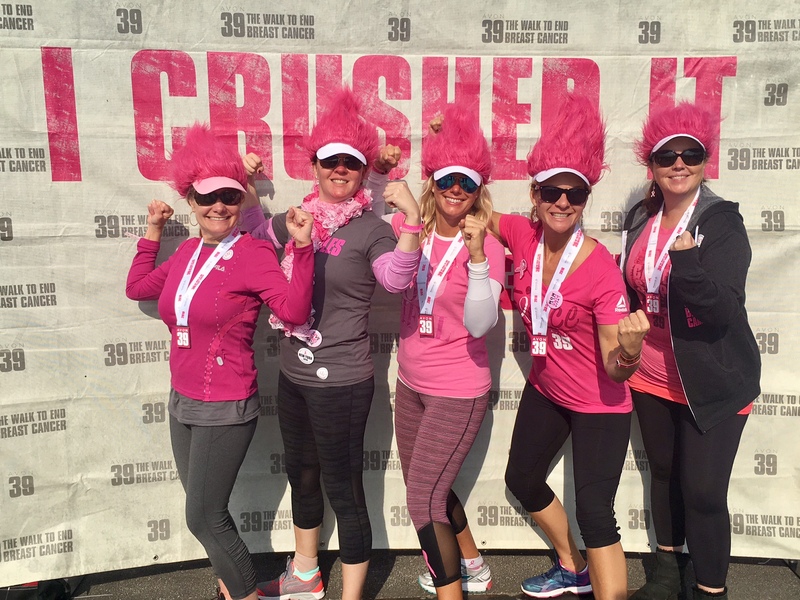 Posted on October 17, 2016, in Fitness, Health and tagged Avon39, Breast Cancer Awareness, Earn Your 39, Fitness & Fundraising, Motivation Monday, New York City, Power of 39. Bookmark the permalink. Leave a comment.